Jane Dallas joined Peters Research Ltd in 2008. Her main duties involve general office/administrative support, to the team, helping to look after the running of the office and accounts. Sam Dean is a Software Engineer with Peters Research Ltd. He is part of the team working on enhancements to Elevate and related software projects. He is the lead developer behind the websites and databases managed by Peters Research. Elizabeth Evans joined Peters Research Ltd in 2005. She is involved with various aspects of the business including research into lift passenger demand. She was awarded a CIBSE Carter bronze medal in 2012 and has been a member of the CIBSE Lifts Group Executive since 2013. Jim Nickerson has been working with Peters Research as a Software Engineer Consultant since 2009 and has been involved with the development of Elevate Live. Previous to this Jim worked for ThyssenKrupp Elevator and DigiMetric Inc.
Dr Mike Pentney has a BSc (Hons) in Electrical and Electronic Engineering and a PhD in Experimental Particle Physics. Mike worked freelance with Peters Research for about 20 years before joining as a staff member in 2017. He writes software for Elevate and associated Peters Research Ltd products. Previously, Dr Pentney worked as a research associate at Queen Mary & Westfield College and Brunel University. He was a member of the UA2 collaboration studying collisions between protons and anti-protons at the SPS particle accelerator at Cern and later became an CERN Research Fellow. Rory Smith is a consultant to Peters Research Ltd. 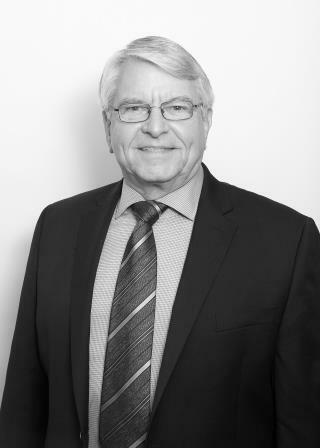 He has over 49 years experience in all aspects of the lift industry including, engineering, maintenance and research and development. He worked for ThyssenKrupp Elevator for 25 years in various roles and was involved in ThyssenKrupp’s Internet of Things. Rory's areas of special interest are Robotics, Machine Learning, High-Rise Design, Traffic Analysis, Dispatching Algorithms and Ride Quality. Numerous patents have been awarded for his work. He is a Visiting Professor in Lift Technology at the University of Northampton and has been awarded Fellowship of the Chartered Institution of Building Services Engineers.